I would have avoided this if I’d seen it, assuming it was a misery memoir, like you have a problem with the voyeuristic elements of those. But this does sound different in its approach. I’m glad the author has a sense of hope going forward. I think it is easy to lump all of these books into one category and whilst some of the events are horrifying they all are used to highlight aspects of psychopathic behaviour which mean the appeal is far wider than could be presumed. I don’t read a lot of nonfiction, but you make this sound really interesting. Not my usual type of book, but good review. Great review but I’d give this a miss. This sounds like a really interesting approach to laying proverbial ghosts to rest, Cleo. And it sounds quite different to the misery memoirs you mention (I’ve no interest in them, either). It takes real skill to write a personal history like that. I wish her well as she goes on with her life. Indeed and I got a real feeling as well that she was trying to help others out too which is admirable. It wouldn’t be a surprise to a psychologist that those of us who find this book most interesting are those of us who had ‘tricky’ parents of one kind or another! I always find other’s strategies insightful. I think it is interesting that a child turned adult has found the courage to share this and I believe it could actually many who may have grown up with a mother who had similar qualities as many of these children blame themselves, they’ve been made to feel they are at fault. Of course if you had a caring, loving mother who nurtured you, I can understand why there’s little need to understand the other. Exactly Claire I think those of us who have had more difficult relationships with our parents for similar sorts of reasons will find this a fascinating read. What I admired most is that the author doesn’t appear to be that old and yet has managed to make the leap, and avoid being a victim! 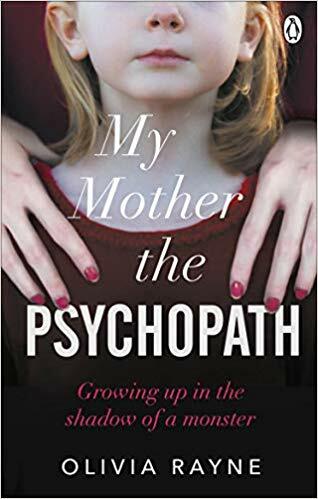 I do like books that offer a view of growing up with a psychopath…or just someone whose behavior is so frustrating that life is often a struggle. Thanks for sharing. Excellent, thoughtful review. Not being a victim is one reason Educated is a best-seller I beleive. I far prefer books which are about those who refuse to be labelled as victims and yes Educated falls into that category. Sounds fascinating, I’ve been following this one since I read the blurb… might give it a go!! I found it absolutely fascinating Annie! I’m with you on Misery Memoir Cleo, it’s not for me, but this sounds a lot more like my kind of book! Thank you for commenting – the difference between a full on Misery Memoir and something like this more uplifting although at times disturbing read is quite hard to define but I found this more fascinating than harrowing. I think the author is quite strong to relate her story not as a victim, but more as a survivor and witness. Sounds like a fascinating read and separate from the usual pack. To be honest, had I not read your review, I probably wouldn’t have picked up this one, purely on the basis that it’s my pet peeve how frequently and casually the word “psychopath” is employed. I guess I’m a bit of a snob – I did my undergrad with hons in psychology, and there was no DSM diagnosis of “psychopathy” and so much of the “science” to which people refer regarding “psychopaths” is really sloppy, or misunderstood/misinterpreted. However, I’ll eat my words (another reminder not to judge a book by its cover), because it sounds like it’s right up my alley! I’m gripped already! Thank you!